The last thing a kid wants to be is different. To be different means attention and it is not always good attention. You could be a different in a whole lot ways. You could have a lisp, like Cindy Brady had. You could be the last one picked for the sports team. You could always get the lowest grade in the class or the highest grade for that matter. You could stay back a year instead of moving forward with your classmates or you could be asked to skip a grade. Whatever the difference, we are programmed to believe that different is bad. Wouldn’t it be great to convince our kids and for them to actually believe that different is good? 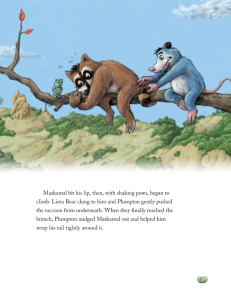 In the Lima Bear Press series book, How Back-Back Got His Name, one of Lima Bear’s friends, Plumpton, has an emergency and sends for Lima Bear for help. Plumpton is an opossum, you see, and somehow his back was missing. When all his buddies come to his aid to help him find his back, they all find themselves in danger from the kids playing in the Big Meadow. 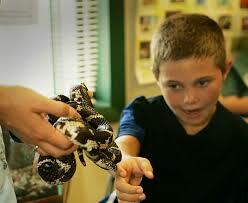 Plumton must use his special skill, his difference of playing dead, to get past the kids and save his friends. Plumpton’s difference is what enables him to save his friends! Reading a story like How Back-Back Got His Name with your child is a great way to illustrate how a difference can be an advantage, something can be embraced, even valued! Share what made you different when you were a kid. If there is one thing that we here at Lima Bear press have heard over and over again, it is that kids love to have the Lima Bear Books read to them over and over and over again. Recently, the author of the Lima Bear Series, Tom Weck, was interviewed by Rachel Koestler-Grack of Story Monster’s Ink. In the interview Tom revealed a few secrets about those exciting beans from Beandom and how the Lima Bear Books have come to be. Secret #1: Why bean-sized bears in Beandom? When children come into the world, they come into a world that’s sized wrong, it’s sized for adults. Due to their small size, the Lima Bears encounter many of the same obstacles children face, living in an oversized world. Secret #2: What are the two strict criteria that each Lima Bear Story must have? Secret #3: What is the author’s favorite child’s reaction to each Lima Bear Book? Thomas loves to laugh, and all of his stories trigger sidesplitting laughter from children and parents alike. In fact, if the story doesn’t incite an up- roar of hilarity, it won’t go to print. You can read Tom Weck’s entire interview with Rachel Koestler-Grack at Story Monsters Ink’s December issue. Tom’s interview starts on page 12. 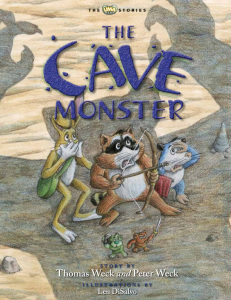 Tom Weck, co-author of the Lima Bear Series was interviewed by Story Monsters Ink, for their December edition. 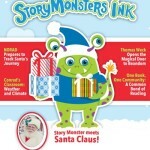 Story Monsters Ink is a free, subscription-based e-digest (magazine, really) that provides parents, teachers, and children with the latest news on book releases, book events, and author profiles. The magazine features reviews by children on children’s books (how cool is that?) and offers regular features including “Conrad’s Corner” (science stuff that kids and parents can both understand) as well as monthly picks of “Monster Approved” books. It is super colorful, informative and fun. Tom was excited to be interviewed for the magazine and revealed the backstory of how the Lima Bear Series came to be, how his past of storytelling to his own siblings and then to his own children inspired the series and how his Peace Corp experience helped him develop the rhyming sequences that are a mainstay of each of the Lima Bear Books. Tom describes the collaboration with his son Peter to bring the tales to life (and publication). You can read the entire article at the StoryMonstersInk website. Tom’s interview begins on page 12.